Creating an adventure park is a long-term operation. Between the diverse administrative authorisations, the financial prerequisites, technical requirements and so on, a project could take several months to build. 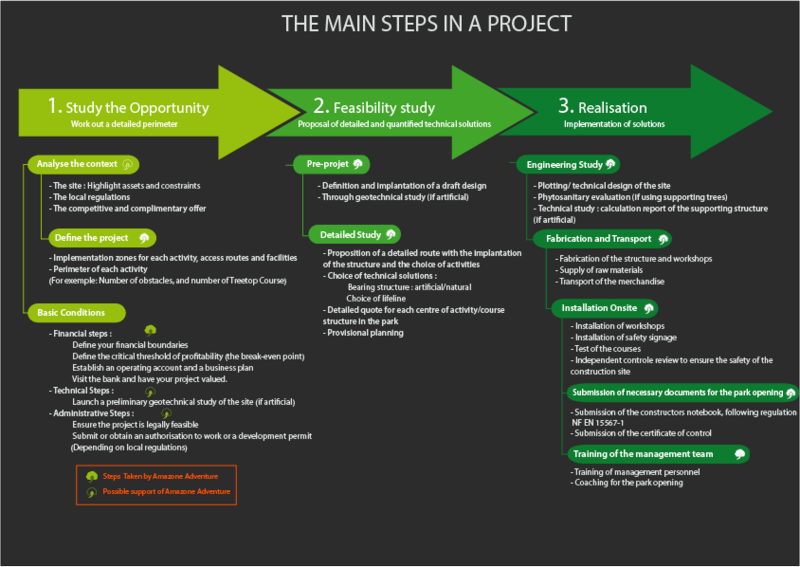 To help, we have attached a useful diagram to help you work out the feasibility of your project. It lists the key steps of each project. Our team is at your disposition, and will help you through each and every one of these steps.